As Japan becomes increasingly globalized, so does its workforce. Back when the government began a survey of trends in the business activities of foreign companies in the country half a century ago, just over 600 firms were subjects of examination. The latest results of this survey covering the fiscal year through March 2017 shows that the number of foreign affiliates where the Ministry of Economy, Trade and Industry sent out questionnaires last year was more than nine-fold, totaling 5,662. In addition, a growing number of domestic companies are expanding overseas and internationalizing their staff, creating demand for bilingual employees — mainly Japanese with English abilities and foreigners with Japanese abilities. Amid this situation, a hiring manager at the Tokyo office of a London-based recruitment consultancy says non-Japanese who have graduated from universities in Japan can bring “huge benefits” to the country’s labor force. “Many of the foreigners who have been educated in Japan are very accustomed to the culture here,” said Lucy Crew, senior talent acquisition manager at Robert Walters Japan K.K., which specializes in bilingual human resources, noting that there are specific needs in Japan when it comes to cultural sensitivities and business manners. “A lot of the courses they’re being taught may be in Japanese, so you have the language capability there as well. They have a social network and their friends are here, so they might have internship experience and connections and relationships that they can utilize,” she added. As one of the focuses at Robert Walters Japan is for employees to be committed to Japan, Crew said foreigners who have received education in Japan already show their bond with the country. “They’re not going to join for six months and disappear after significant investment from the firm. They have a passion for the country. There’s a commitment to Japan and they obviously want to get to know and understand the culture further and understand businesses here,” she said in a recent interview with The Japan Times. Robert Walters, a specialist recruitment agency founded in London in 1985, opened its office in Tokyo in 2000 and in Osaka seven years later. The Japan arm specializes in introducing candidates to clients that are mostly foreign firms, but also include Japanese companies that are expanding overseas. “Foreign businesses have a real requirement for bilingual and bicultural candidates. Therefore, we obviously have a need for those candidates,” said Crew, who is in charge of hiring consultants tasked with helping clients with recruitment activities in a range of fields, including accounting, banking, engineering, human resources, information technology, legal and sales. She said her company’s Japan business has “grown considerably” over the past 10 years or so, prompting it to come up with a business target of doubling its scale of operation and headcount from 2015 levels by 2020. Robert Walters Japan currently has about 280 employees, while the entire group — with offices in 28 countries worldwide including Australia, Brazil, China, France, Thailand and the United States — has over 4,100 workers combined. 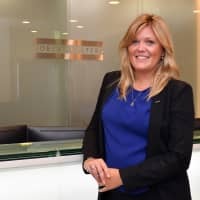 To support the growth of business in Japan, Crew was transferred here in 2016 from the London office, where she held posts such as senior consultant, team leader and manager over a period of eight years. With plans to hire more consultants in Japan, the 31-year-old Briton said she is keen on maintaining the rich diversity among the recruiters. 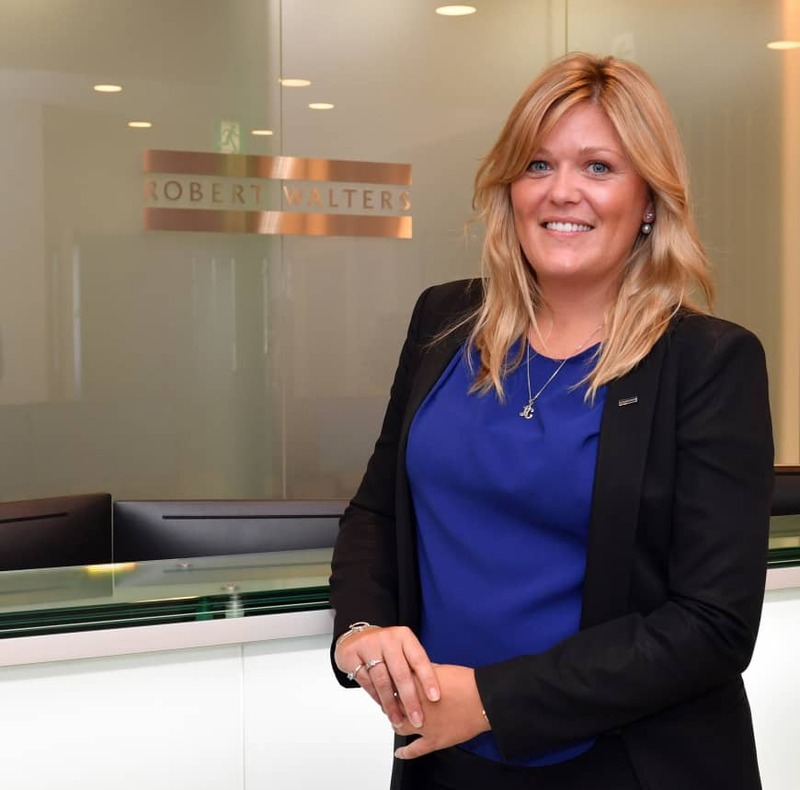 The foreigners who work as consultants at Robert Walters Japan encompass over 30 different nationalities and about a third of them have either taken part in student exchange programs in Japan or obtained their degrees at a Japanese university, she said. Regardless of nationality, some of the qualities she looks for when hiring recruiters — in addition to background and knowledge about the specific industries they are envisioned to cover — are whether they fit into the corporate culture at Robert Walters, if they can dedicate themselves to providing the best customer experience and whether they appear able to build long-lasting relationships with people, including both clients looking to fill posts and candidates whom they would introduce to the clients. To help land more people in the right positions, the company is looking to further expand. “Japan as a whole has a great deal of growth potential, and specific markets are already showing a lot of growth, particularly in terms of opportunities at increasingly globalized businesses for foreigners that are moving to Japan,” Crew said. Reflecting this trend, the number of foreign workers in Japan has almost doubled over five years, to a total of about 1.28 million people as of the end of October last year, according to Ministry of Health, Labor and Welfare data. The number of foreign students who find employment in Japan upon graduation is also increasing sharply. Statistics released earlier this month by the Justice Ministry’s Immigration Bureau show that nearly 28,000 foreign students in Japan applied in 2017 to change their residence status to enable them to work for companies in the country and approvals were granted to over 22,000 — both record highs. The number of applications increased 27.5 percent from 2016 and nearly doubled from 2014, while approvals rose 15.4 percent from 2016. Robert Walters has relationships with universities across Japan and holds events to speak about hiring possibilities in bilingual markets to audiences that often include numerous foreigners. “Some of our consultants may not speak Japanese fluently, but you don’t have to be able to in order to work here,” Crew said, saying there are industries that do not necessarily require Japanese-language skills. She said many foreigners who want to work in Japan seem attracted to the country because of its unique culture, people and food. Crew encouraged non-Japanese people who are considering a future career in Japan to observe and think about what industries and businesses are developing in the country or are expanding into Japan. “It’s quite important to do a lot of research on Japan before you actually commit to coming here,” she said. She also advises them to educate themselves on how business is conducted in Japan. She has been encouraged that many of the candidates she has interviewed for positions at Robert Walters, including those who have attended universities in Japan, have expressed their desire to do something for the country. “They really want to be able to contribute to Japanese society and make it more globalized,” she said.